A Flourishing website for a coach aimed at flourishing your ministry. Fit&Flourish is all about training leaders and ministries to be the most effective they can be. Author Tim Roehl help ministries and ministry leaders to know "this is where I belong" and "this is what I'm made for." This includes assessing ministries, training and coaching both individuals and teams. Had an awesome time hosting Fit&Flourish for their website build day! 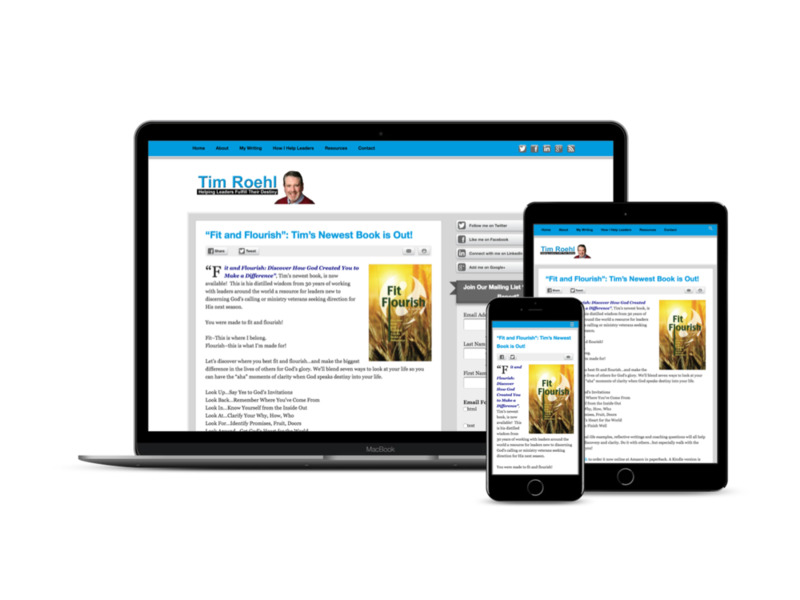 A mobile-friendly website, aiming to help their ministry flourish!